BandAMP: Strat Restore ... Interested in it ? 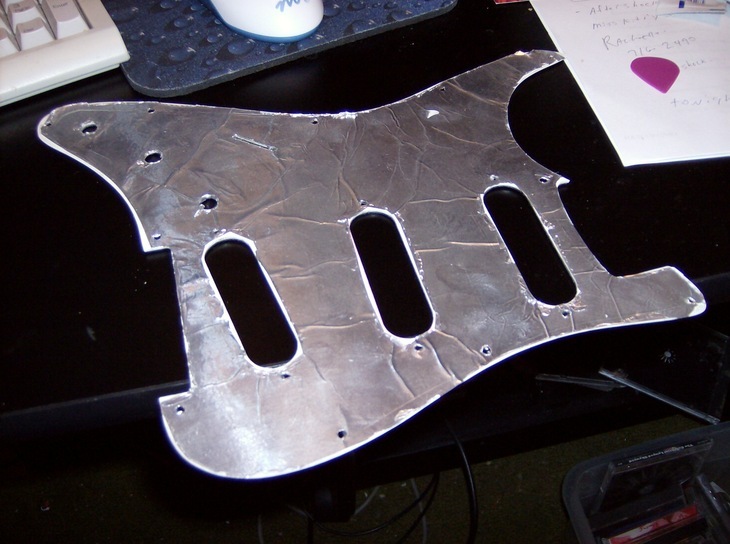 forums / gear talk / strat restore ... interested in it ? 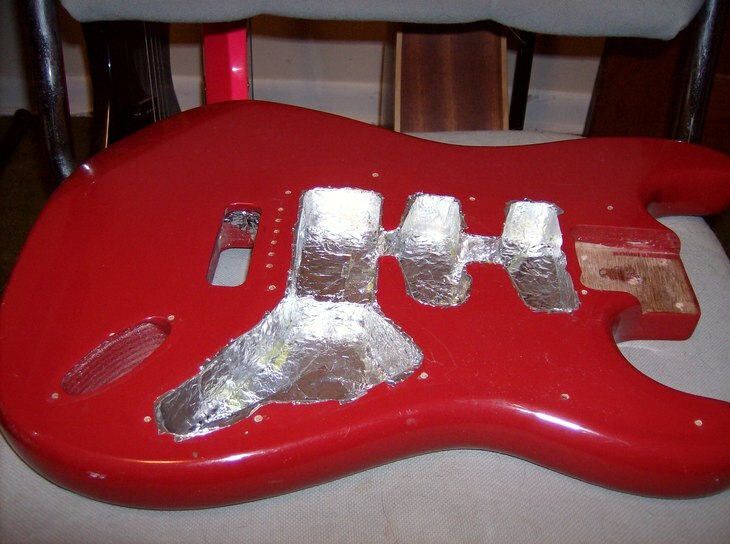 I am doing a Strat restore upgrade.. I have a lotus strat ,, The body is EDIT: mohagany and is fine. I will be restoring and upgrading the guitar. I am taking pics of the step by step procedure. If any one is interested I will post the pics here. in this thread.. It will include the full shielding pics ect. 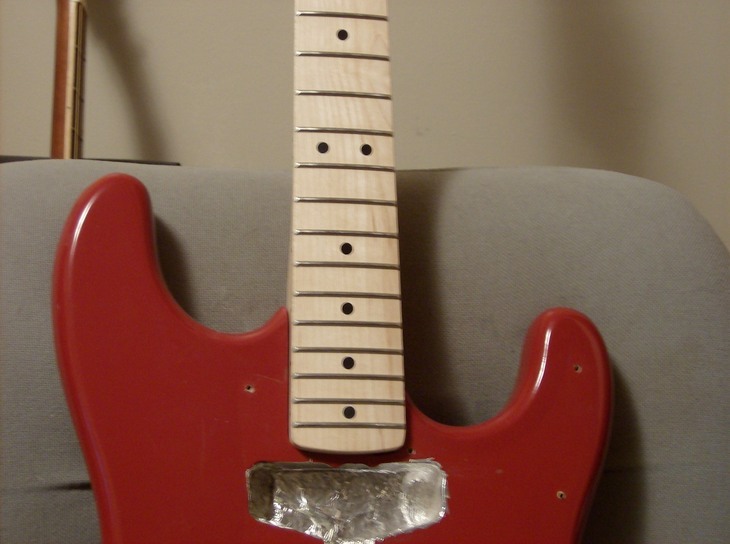 I am on a tight budget so it will show how you can build a very nice playing and sounding strat , for way less $$$$ than buying that fancy one in the store. parts purchased so far................................2008 EDIT: mistake Fender mexican standard deluxe neck 91/2 radius stock jumbo frets. the cost on the neck was including shipping .................$150.00 ( I would of went with Warmoth but the neck I wanted was twice as much). American Standard Strat (the one I wanted to buy) $999.99 discount $835.00 Yikes still too high. American Standard Strat... alder body , cheaper trem, cheaper saddles, Alnico V pups (very nice sounding but noisy, and same sound from noiseless, plus a little hotter pups). single coils use 250k tone pots (I'll be using 500k with the humbucker stacks(noiseless). If everything works out right I will end up with a very nice playing and great sounding "strat" . 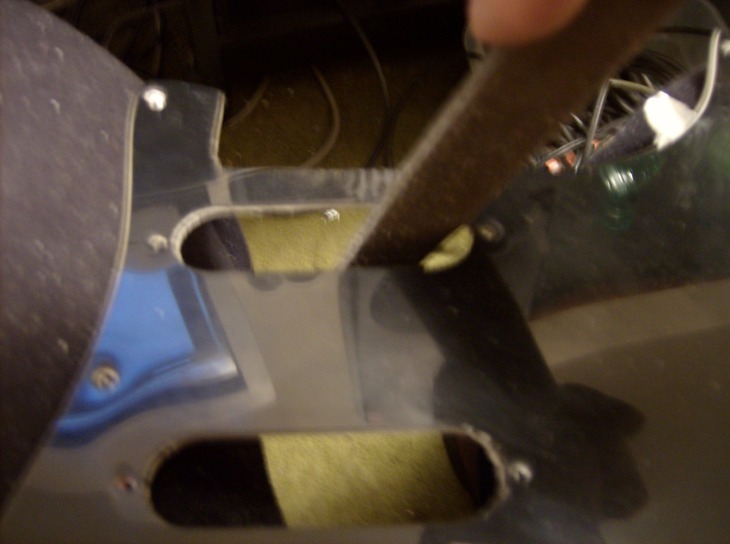 pics of the homemade but very effective guitar shielding. Edit:guitar is in holding pattern till the neck and pups arrive. should be here Monday. woah sweet man! im totally interested!!! Im gonna check out that site...ive always wanted to build my custom guitar. For the shielding , I just used the old aluminum foil and contact cement. 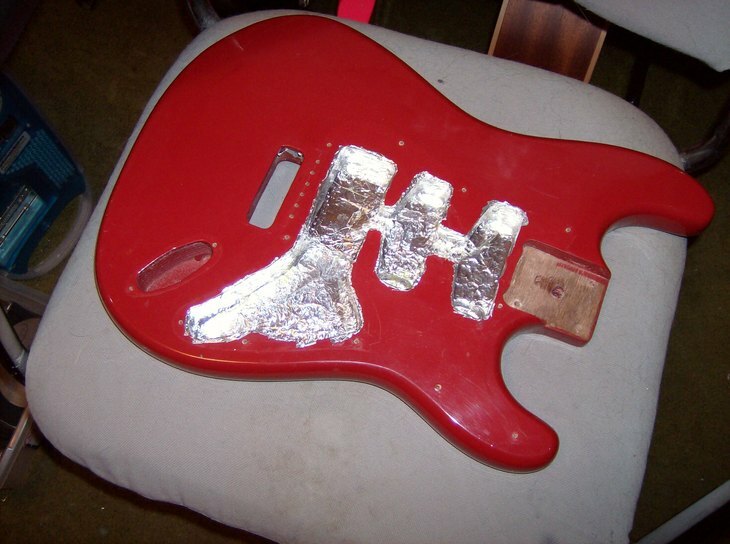 It takes a bit more work than the copper tape, but it works fine and is LOTs Cheaper.. all you need to do is seal the body cavities completely with foil leaving a small thin edge for the pick guard to sit on. The back of the pic guard needs to be shielded to.. 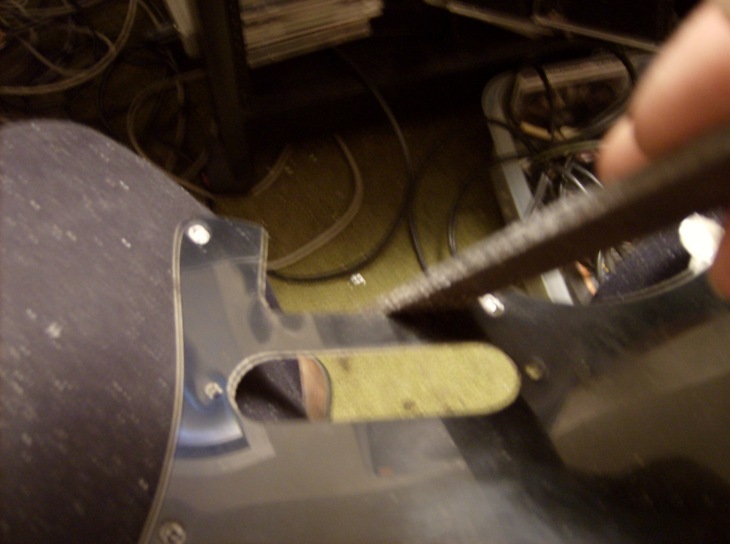 I do all of it (back of pick guard) cause it is easier for me and the way I shield out to the body it gives better contact throughout the body cavity . make sure to remember helpful hints man!! Wow Goat, I didn't know you were a craftsman too, superb stuff, looks like your an expert. Would be way cool if you could video it and put up on youtube. Gibson standard, do you think that is possible? 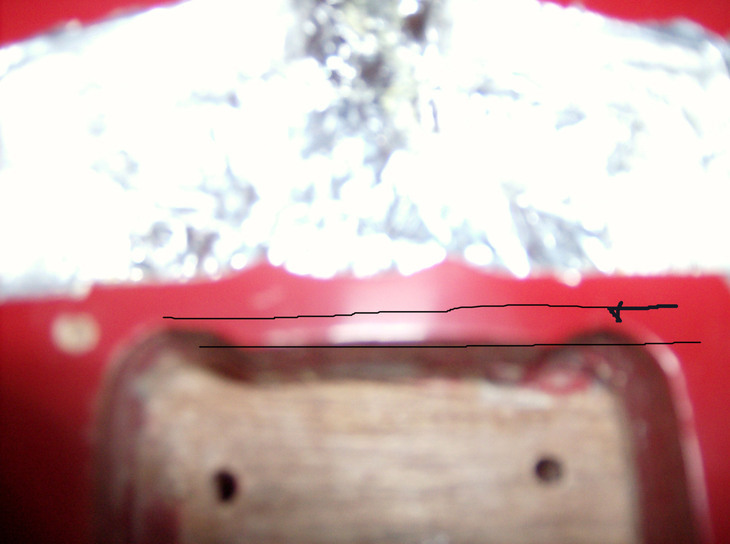 yes it is possible, is it is neck thru guitar or bolt on neck, most Les Paul guitars are neck thru or glued on. 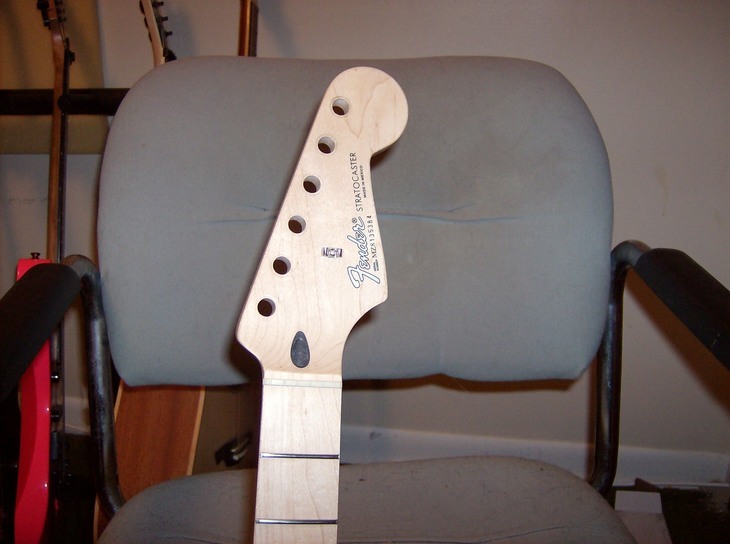 If it need a new neck ,s that is a lot more work. Still doable but more work and a little more cost. It all depends on what you want to do to it. I wouldn't have replaced the neck on the lotus but the frets are gone, It is a nice maple neck, one day I will tackle the job of replacing the frets on it.. The neck seems OK, I think it's a bolt on, I'll have to check. I'm no expert, but I suppose put some quality pick ups and a quality bridge set, the aim being to get the best quality sound, they would obviously need to be left handed? currently they are gold, which must of been sprayed on as it's coming off in some places. I had on old Gibson ES 345 it had gold hardware on it that wore off.. I am not sure if there is any gold hardware out there that doesn't eventually have the gold come off of it. solution 1). modern,.... use dremmel tool to lengthen holes (I have no dremmel tools) or 2). Small rat tail file (which I do have. 3). Go buy another pick guard... since I am trying to not spend anymore money I will opt out for #2.
regarding pickguards..... I found out that Guitar Center and Musicians Friend have pick guards that are fine for $6.99 .. I still filed mine down, but it is pretty scratched up (before I started filing on it), I may go get one of these. p.s. I don't own a video camera or I would video it. So pics it is. the sound quality. got porbs with my car at the moment, engine management light, it's been to the garage three times, it's still not fixed and I've spent �700.00, plus It's my wife's birthday next month and guess what, getting her a second hand car about three years old, plus business is down like most places. I'm managing OK just, but have to be wise and not spend money unnecessarily. At the end of the day I own a US '78 Strat which meets all my needs, so if I did change anything on the Les paul copy it would be a bonus. Go easy with that file!! I would say go for it. changing a few things on a guitar can really make the difference. When you get the right combination of electronics and neck/string set up, it can make the guitar just come alive, the notes just want to jump out at you. The guitar becomes so easy to play. I had a cheap squire strat once that I put texas specials in and really did a good fret job on it. It became a great sounding and playing guitar., better than the american standard I had at the time. I like trying to take cheaper guitars and doing the upgrades needed to get a fine players guitar out of it. 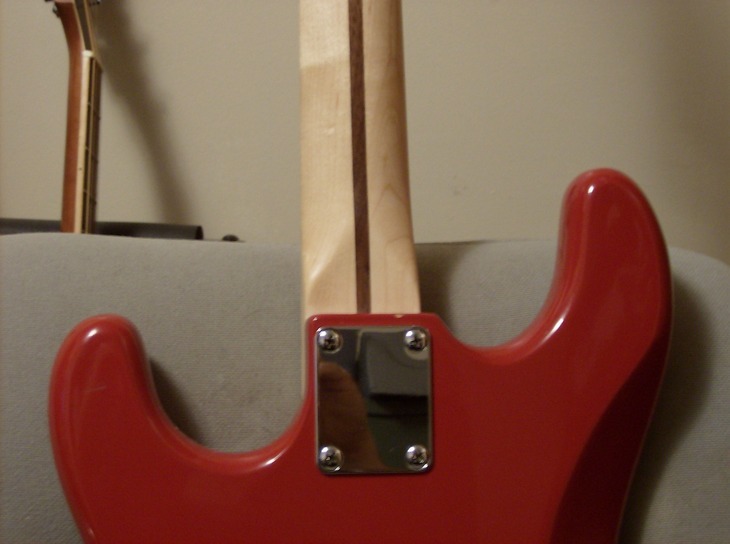 When attaching the neck to the body...do you have to do anything special to make sure its perfectly centered or how does that whole process work? The new neck arrived today and another snag, the neck pocket on the lotus wasn't routed out correctly at the factory. So I am going over to my friend Dennis The Drummer and he is going to route the correct dimensions out for the neck pocket. 2 1/2" width X 3" length X 5/8" deep. 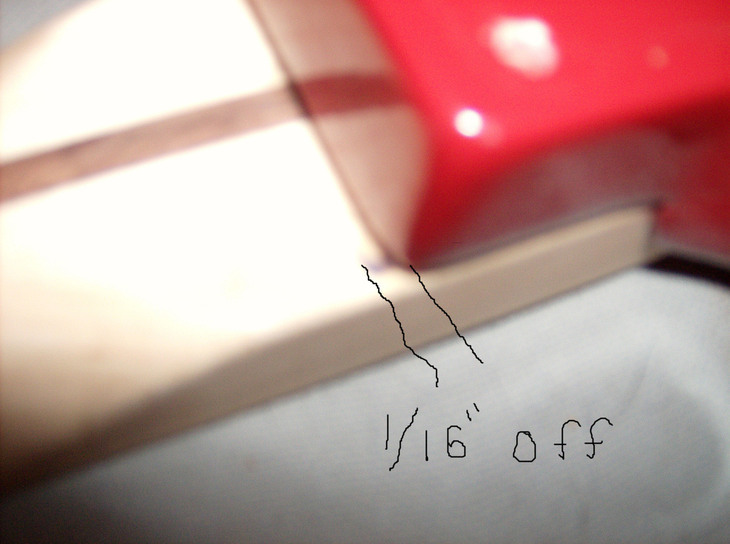 I measured mine and it is correct except for some extra wood left in the middle on the length route. I just need to cut out 1/16" about 1" wide. While I am at it I will double check the depth at 5/8 inches. ok neck pocket depth was fine we removed the wood left in the pocket, the neck fit perfectly after that. Tomorrow I will do the wiring and mount the pick guard and input jack. I'm loving this guitar-build thing, TG! Keep it coming!